With over 15 years of development experience, we are certain that our experience can benefit your business. You will be able to increase efficiency as well as gain control of all your business functions through our integrated software. Below we have grouped the software we have developed into 5 categories. The description and site references for each category are shown below. Consignment Sales Management - department stores sales, credit note, etc. Asset / Machinery with Depreciation. Quotation, Sales Order, Sales, Purchase Order, Bill of Materials, Purchases, Inventory Management, Production Material Issues, Production Material Receipts, Production Management, Accounts Receivable, Accounts Payable, Asset Management, Production Planning, ISO 9000 Documentation, Export Documentation, QA, Full Accounting. This system is made up of modules similar to the previous item. Lace Design and Image Library, Design Costing and Pricing, Production Order, Purchase Order, Sales Order, Sales Invoice, Inventory Management, Receipts, Purchases, Payments, Accounts Receivable, Accounts Payable, Delivery Dispatch, Banking, Production Issues, Goods Received, Production Costing, Production Process Output, Production Status Tracking. Lace Design and Image Library, Design Costing and Pricing, Production Order, Purchase Order, Sales Order, Sales Invoice, Inventory Management, Receipts, Purchases, Payments, Accounts Receivable, Accounts Payable, Delivery Dispatch, Production Issues, Goods Received, Production Costing, Data synchronization from Factory to Head Office, Production Process Output, Production Status Tracking. Quotation, Sales Order, Sales, Purchase Order, Bill of Materials, Purchases, Inventory Management, Subcontract Production Management, Subcontract Material Issues, Subcontract Finished Goods Receipts, Accounts Receivable, Accounts Payable, Asset Management, QA, Full Accounting, Asset & Depreciation, Job Costing, Logistics Management, Sales Commissions. Quotation, Sales Order, Sales, Purchase Order, Bill of Materials, Purchases, Inventory Management, Subcontract Production Management, Subcontract Material Issues, Subcontract Finished Goods Receipts, Accounts Receivable, Accounts Payable, Asset Management, QA, Full Accounting, Asset & Depreciation, Manufacturing. Study of effective ERP use, development of production planning module linked to MOVEX, the existing ERP system. Analysis, design, and development of complete manufacturing system for the food and cosmetic products of Giffarine. 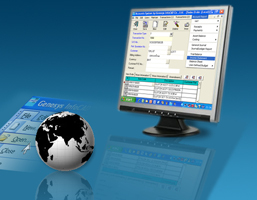 Complete ERP system with Pricing, Quotation, Sales Order, Sales, Purchase Order, Bill of Materials, Purchases, Product Development, Inventory Management, Batch Management, Subcontract Production Management, Accounts Receivable, Accounts Payable, Asset Management, QA, Full Accounting, Asset & Depreciation, Manufacturing. This system includes all the modules necessary for the management of a small hotel including hotel, restaurant, laundry. Modules include reservation, check-in, pricing, room assignment, house cleaning, guest look up, charges, charge transfers, invoicing, receipts, deposits, payments, seasons setup, rates setup, room layout views, accounting, inventory control, profit-loss, balance sheet, night manager, special provisions, agents management, and many more. Business: Hotel with Restaurant, Bar, Laundry Service, Mini-bar, Restaurant. Apartment rental billing and accounting including building setup, utilities billing, cable services, automated monthly invoicing. Hospital Insurance system used for payment of social security benefits. This system is in use in hospitals all over the nation. The data is brought back to head office for analysis of compensations to make for the social security benefits. This system includes keeping insurance policy information including fire, marine, motor, burglary, health, accident, life, construction, and miscellaneous policies. It allows for printing customer bills and tracking accounts receivable from customers and accounts payable to insurance companies. A module for claims management is also included. Adjustments have been made to allow for automated renewal reminder notices, invoicing, installment billing, order placement, payments, and receipts. Accounting functions have also been integrated into this module. Sales Contract, Sales, Purchase Order, Merchandising, MRP, Sample Tracking, QC and Measurements, Bill of Materials, Purchases, Inventory Management, Production Material Issues, Production Material Receipts, Production Management, Accounts Receivable, Accounts Payable, Full Accounting, Coupon for Piece-Rate Wages, Subcontract Management, Line Balancing, Production Scheduling, Complete HR Management with Payroll linked to Coupon for piece-rate wages. Enquiry Order, Work Order, Sales, Purchase Order, Sample Tracking, QC and Measurements, Bill of Materials, Merchandising, Production Management, Full Accounting, Paper-less Office System. Business: Fashion Garment Distributor, Manufacturer, Retail Outlets, Franchisor, Exporter. Sample Design, Manufacturing Order, Retail Sales Management, Stitching Order with Graphical Design, Retail Sales, Sales Contract, Sales, Purchase Order, Merchandising, MRP, Sample Tracking, QC and Measurements, Bill of Materials, Purchases, Inventory Management, Barcodes for FG, Discount Management, Consignment Management to Department Stores, Sales Promotions, Pre-Costing, Job Costing, Production Material Issues, Production Material Receipts, Production Management, Accounts Receivable, Accounts Payable, Full Accounting, Coupon for Piece-Rate Wages, Subcontract Management, Production Status Tracking, Complete HR Management for labor & salary workers with Payroll linked to Coupon for piece-rate wages and linked to Sales Commissions. Enquiry, Quotation, Sales Order, Sales, Purchase Order, Merchandising, MRP, Sample Tracking, QC and Measurements, Bill of Materials, Purchases, Inventory Management, Barcodes for FG, Pre-Costing, Job Costing, Production Material Issues, Production Receipts, Production Management, Accounts Receivable, Accounts Payable, Full Accounting, Coupon for Piece-Rate Wages, Production Scheduling, Production Status Tracking. Sales Contract, Production Order, Coupon for Piece-Rate Wages, Production Status Tracking. Order Sheet, Measurement Chart, Inventory Management, Sales Management. This system includes Inventory Control, Warehouse Management, Sales, Purchases, Sales Returns, Purchase Returns, Quotation, Purchase Order, Employee Information, Payroll Processing, Payroll Tax Processing, Payments, Receipts, Post-Dated Checking System, V.A.T. Tax management, General Journal, Sales/Purchase Order Placement and Tracking, Multiple Currency support, General Ledger, Income Statement, Balance Sheet and Many Other Reports. The following customer list includes those in various businesses, but with the same basic requirements of a Business and Accounting System. Each received a customized version of the software. Business: Fabric Trading, Outsourced Processing, Exports. Sales Contract, Sales, Invoicing, Purchase Order, Purchases, Inventory Management, Subcontracted Production Management, Issues for Subcontract PO, Accounts Receivable, Accounts Payable, Full Accounting. Business: Fabric Trading, Outsourced Processing. Business: Paper Carton Manufacturing and Sales. Business: Fabric Trading, Outsourced Processing with Exports. Similar to Above. Added agent commissions management functions. Similar to above, but with details on sizes on products such as different product codes for each ring size. Construction Materials Sales and Finance, materials inventory, subcontractor job tracking, tracking accounts receivable, tracking accounts payable, financial reporting. Business: Media Rental & Distribution, Franchisor. Custom application to take care of all the operations at headquarter of the video franchise Tsutaya (Thailand) Co., Ltd. The modules include Inventory Management with barcode system, Franchisee Monthly Budget, Monthly Movie Releases and Order, Purchasing plan based on Budget of Franchise, Automated P/O based on Purchasing Plan, Franchisee Orders and Deliveries, Automated Delivery Note, Automated Invoicing for multiple Franchisees, Barcode Printing and Scanning, Rental system for VCD/DVD/VDO, Complete Sales System (with Returns) for VCD/DVD/VDO. Run on a web browser, it allows franchised retail outlets to see their sales figures and reports. About 40 reports are available online for members, sales figures, profiles, and etc. This application was developed on ASP.NET.